We have been bestowed upon by the Nashville Scene the esteem honor of the cover story for January 2015! 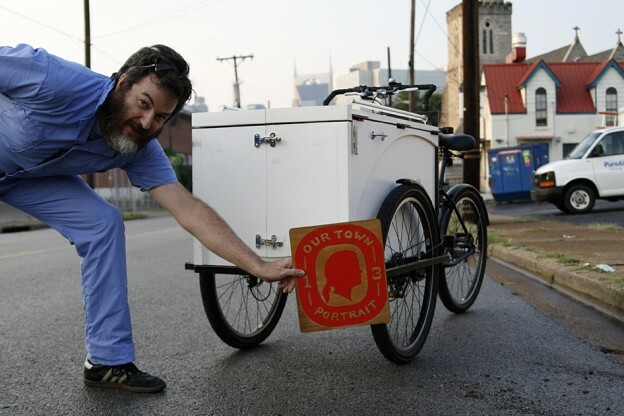 Please check out the coverage of the Our Town Nashville portrait project here! Also, don’t forget to stop by the Main Library to check out the Our Town Nashville: Field Notes exhibit! It’s open now until April 12th! Thanks so much to the city of Nashville and the folks at the Scene who took the time to help make this project a success and get it out into the world. Hey friends! 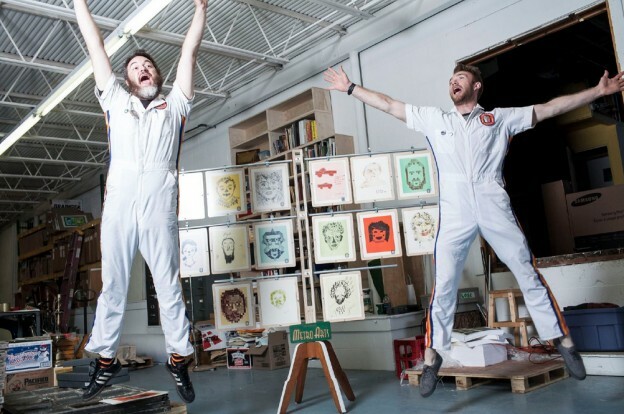 Check out Isle of Printing’s feature in the local Nashville publication: NATIVE. 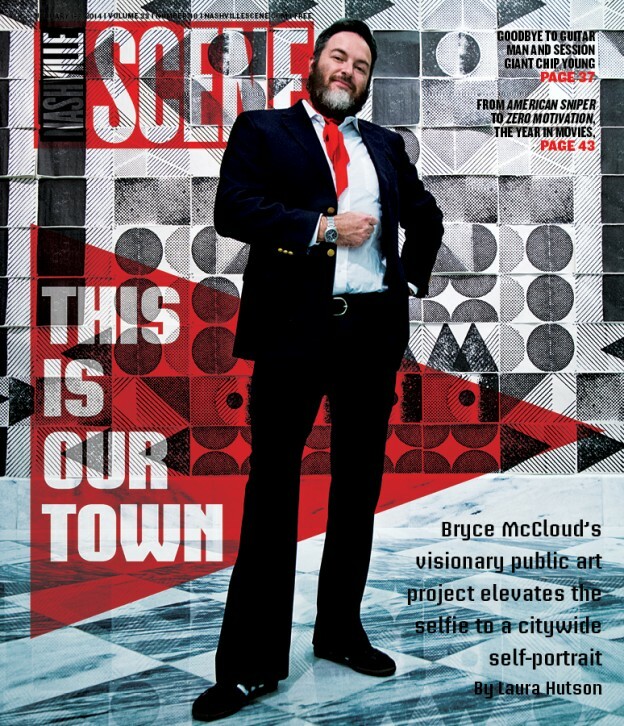 Our fearless leader, Bryce McCloud, talks about Our Town and the bigger public art picture! Enjoy and join in on the conversation!. Over at Our Town HQ (aka Isle of Printing) we do our best to stay hip to the new social times. One of our favorite ways of doing so is via Instagram. We post photos from all of our events AND give updates on our growing gallery of printed portraits that could one day be yours for the price of your self-portrait donation! So please follow us, if you’re so inclined. We promise not to disappoint — Public Art will be seen and shared! 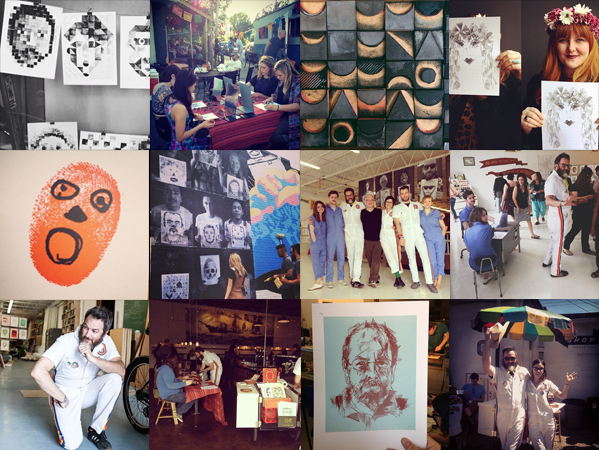 Also, if you attend an event, make a portrait and/or take photos, please feel free to tag and hashtag us! Thanks for your support, Nashville! Hope to see you soon, face to face! 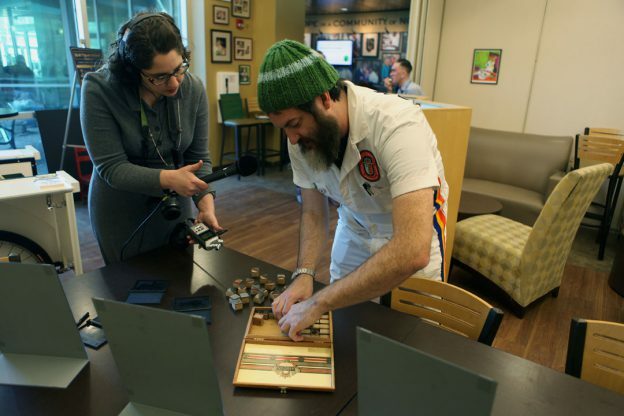 WPLN’s Nina Cardona spent the afternoon with the Our Town bike cart and crew as they made art and conversation with the folks over at Room in the Inn. Check the story out here.. Welcome to the online portion of the Our Town Nashville portrait project! We are really excited about the art Nashville is making with us, and we are honored to be able to share it with you. Have a look around, and then head over to the calendar to find out when the cart is coming to a neighborhood near you! Let’s draw together!. © 2013 our town / isle of printing all rights reserved.